This is a taster session for adults who haven't driven a boat before or who want to have a look at the harbour with no added pressure of a course. Great introduction to being afloat. If you wish to bring along an under 18 please contact us in advance of booking to ensure the boat in use that day is suitable (please note no unaccompanied under 18s). You will be able to take the helm of the boat under the supervision of the Instructor and learn some basic controls or equally to sit and relax if you prefer. We would anticipate being on the water for approximately two hours once paperwork has been completed and lifejackets fitted. As these sessions are aimed at beginners they are very much subject to wind conditions to ensure the activity is enjoyable and relaxing and will be rearranged if necessary. These taster session are aimed at encouraging people to take up boating under a controlled environment and are not fast adrenaline rides. If you are looking for a fast RIB ride please instead contact one of the local operators for that trip. These trips are usually booked by two people together and the ticket below reflects that. If you prefer to book as an individual joining other students on the boat please contact us directly. 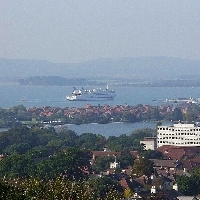 Depending on the weather, tides and the choice of the group we may head out the harbour to Studland or explore various routes around the harbour exploring the channels round the back of the islands. Please note there is a speed limit within the harbour which we will abide by. If you’d like to see something in particular please speak to us in advance to ensure the tide will make it possible. 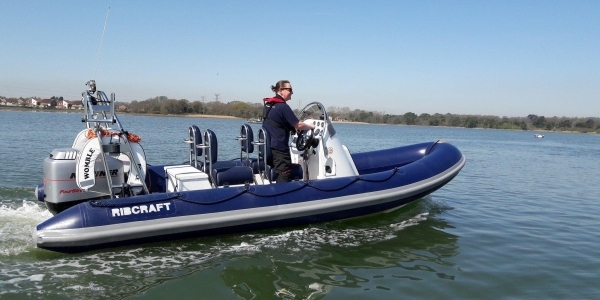 Before booking: Please be aware that powerboating does require a certain level of fitness and there may be size constraints due to the seating arrangements. Please check our website for further details on the boat used to ensure suitability. If you wish to bring along an under 18 please contact us to discuss in advance of booking.